We have two dental assistants, three dental hygienists, and three clerical staff. We have a hygienist and an assistant who have been with us since 1981 and the overall staff average is over 15 years. We feel this not only says a lot about loyalty and dedication to the doctors, but also speaks volumes about the type of dentistry being performed. Jerri is a graduate of Loyola University of Chicago Dental Hygiene Program. 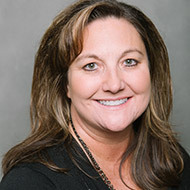 Jerri has worked with us and provided patient care since 1982. Her level of care, dedication, and loyalty to the clinic and her patients is extraordinary. She spends the time necessary to treat hygiene needs and education to help each patient obtain optimal health. Jerri is certified in nitrous oxide analgesia, administration of local anesthesia for the added comfort of the patients requiring these services. Jerri is also certified to use the diode laser for advanced treatment of those patients with periodontal disease. She enjoys spending time with her family and friends, vacationing and camping. Jerri and her husband live in Sioux Falls. They have two daughters, a son-in-law, and a granddaughter. Jerri may be reached at jerri@smilesrpriceless.com. 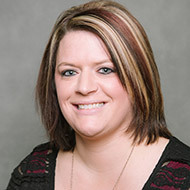 Christina is a graduate of the University of South Dakota Dental Hygiene Program and joined our team in 2004. 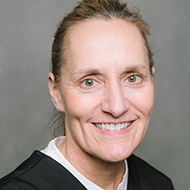 She is comfortable treating simple situations associated with children and adolescents, as well as the more complex problems encountered with adults. Christina is certified in nitrous oxide analgesia and the administration of local anesthesia for optimal patient comfort as needs dictate. She is also certified to use the diode laser for periodontal patients requiring more advanced therapeutic treatment. Christina lives in Sioux Falls with her family. Christina may be reached at christina@smilesrpriceless.com. Jolene has worked with us since 1988. She is very skilled and her talent is reflected in the care she provides. She is very knowledgeable and her caring manner makes her a favorite of many patients who have come to know her. Her interests include antiquing with her husband, biking, camping, and watching their children and their activities. Jolene, her husband, and two children live in Sioux Falls. Jolene may be reached at Jolene@smilesrpriceless.com. Jennifer has worked with us since 1995. 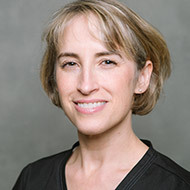 Her main responsibility is helping patients feel comfortable with their entire dental experience, from the initial greeting to setting up a lifelong plan for optimal dental health. 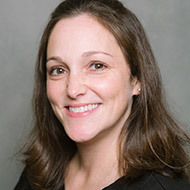 Jennifer also helps patients find the best way to finance their dental need. She helps with payment options, dental insurance reimbursement, flex plan spending, and dental care credit plans. Her interests include shopping, camping, attending her daughters’ activities, and spending time with family and friends. Jennifer, her husband and two daughters live in Brandon. Jennifer may be reached at Jennifer@smilesrpriceless.com. Always greets you with a handshake and a smile. Erikka, her husband and two children live in Brandon.